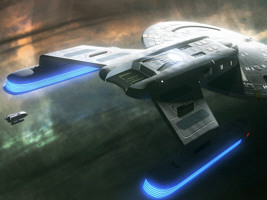 The Splendor class destroyers were designed to replace the Miranda class. 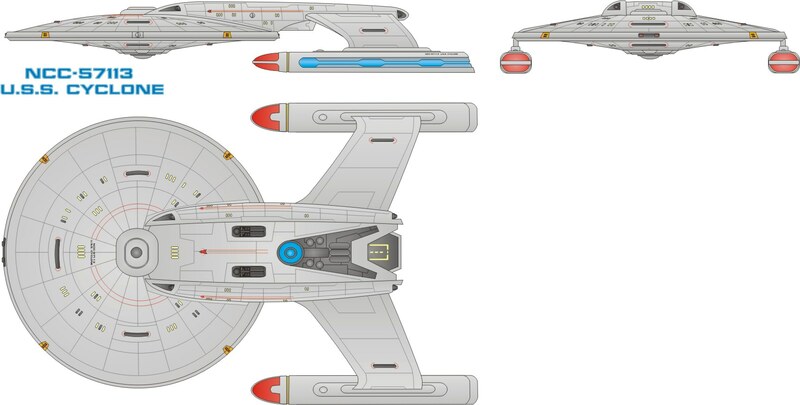 After the first successful tests of the USS Tanganyika a starship engineer team at Copernicus Shipyards, Luna, started to work out a concept for the Splendor class, using the basic components of the Tanganyika class. 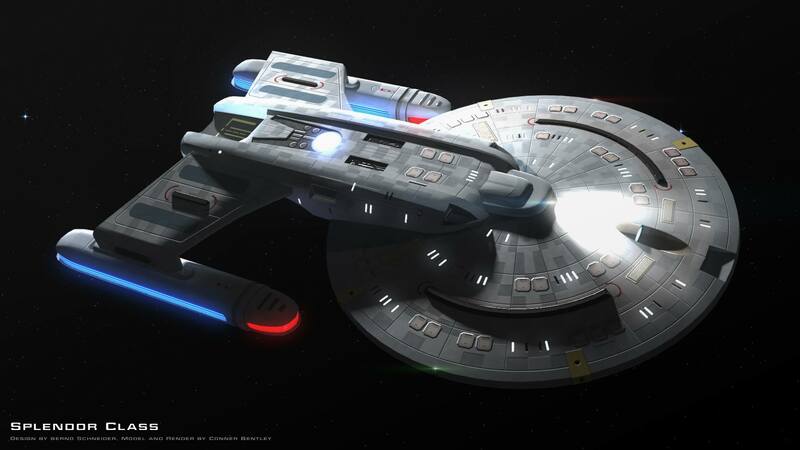 When simulations showed excellent results, Starfleet Headquarters approved of the project and ordered three prototypes. 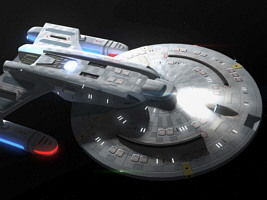 Splendor class ships have fewer science labs and sensor equipment and fewer room for shuttlecraft, yet, they are more maneuverable than Tanganyika-class ships. 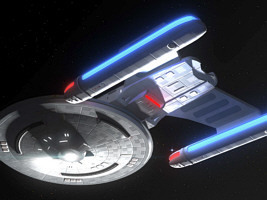 The prototypes fulfilled all expectations at first, however, after a disastrous impulse reactor breach on the USS Splendor that killed 14 crew members the ships were temporarily taken out of service. 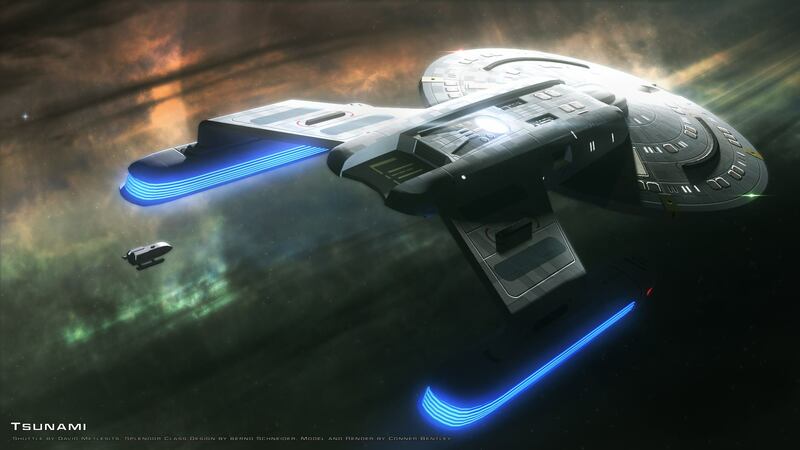 The three subsequent ships were fitted with extended security systems and commissioned five years later. At that time their concept was already obsolete. 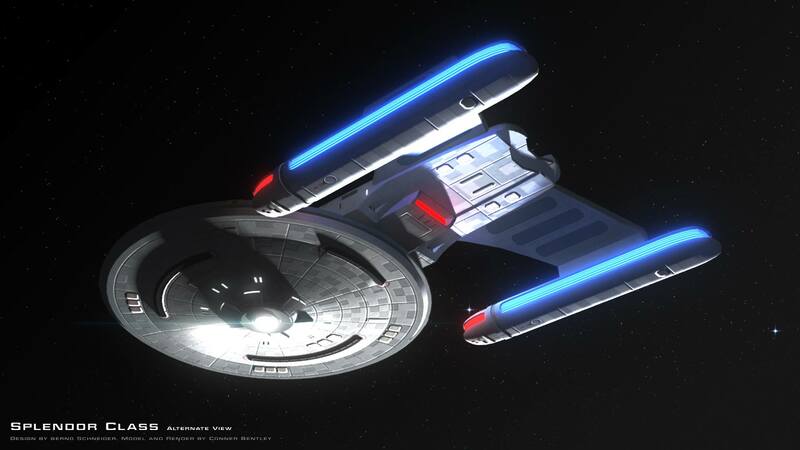 Not having a multi-purpose deflector dish, their sensing capability was limited, and the efficiency of their power systems was lower than of the most recent designs. 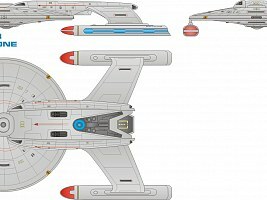 Since the old Miranda-class ships had been substantially upgraded in the meantime, giving them a remaining lifetime of at least 20 years, the Splendor class was not required any more, and after three more ships the project was stopped. Thanks to s1gun for his refinement and to Conner Bentley for the 3D model.